Best-selling RITA Award recipient Barbara Hannay's novels have been translated into 20 languages. In Rancher's Twins: Mom Needed, Holly O'Mara steps in to care for her late cousin's young twins until their estranged father can take over. But when Australian cattleman Gray Kidman finally arrives, Holly senses that Gray is out of his element. Soon, she's enamored with Gray-but for some reason, he keeps pushing her away. 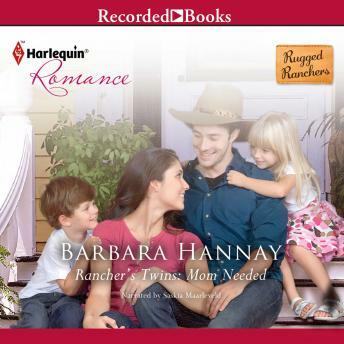 Can Holly help this handsome rancher open up his heart to love again?